Written by Kelsey Marchand on 05 August 2014 . There are so many different types of data visualizations out there, it’s important to know which visualizations are effective for which purpose. In this series, we will be going over every major visualization (and then some) to help you better understand how each visualization should be used. The first three we covered were Sparklines, Pie Charts, and Radial Gauges. This week, we’re featuring the linear gauge. Much like a radial gauge, the linear gauge presents a single set of data. The difference between the two lies solely in the design; the radial gauge is circular in shape, like the speedometer in your car, while the linear gauge is a line, like the thermometer used to check temperature. Why are Linear Gauges Useful? Generally, gauges tend to have less practicality on dashboards than they do in other machines or tools. 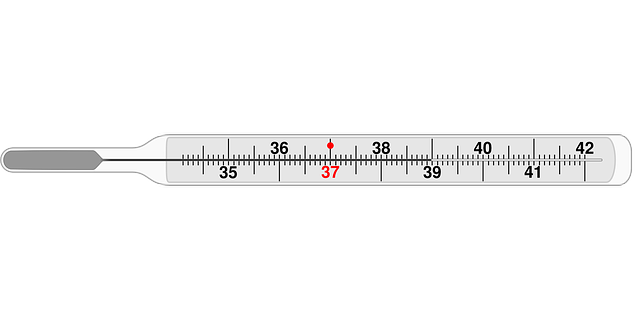 Linear gauges in particular, while not as popular in BI tools, are still used to display temperature in thermometers, measure weight on medical scales, adjust volume on touch-screen phones, and more. This is because they can only display one set of data at a time, and have no room for previous data recordings. Most dashboards display data that needs to be compared in order for it to be useful, which is why gauges are less frequently used. BUT that doesn’t mean they’ve become obsolete. Far from it. Linear gauges, as previously stated, can be found in thermometers, weight scales, phones, even radios and sound equipment. The linear gauge is more suited to technology that doesn’t have a lot of space to give-up (e.g. radios), but still requires the visual measurement of a single set of data in order for it to be useful. RECAP: linear gauges present data in a linear scale, and can only display one set of data at a time. They are more likely to be found in a variety of industries, and technology, outside of dashboards (like in thermometers, various machinery, and medical equipment). Stay tuned for the next installment of our series, Types of Data Visualizations: Bar Charts. Interested in finding out more about data visualizations? Check out our samples of gauges and other visualizations in our Data Visualization Gallery!